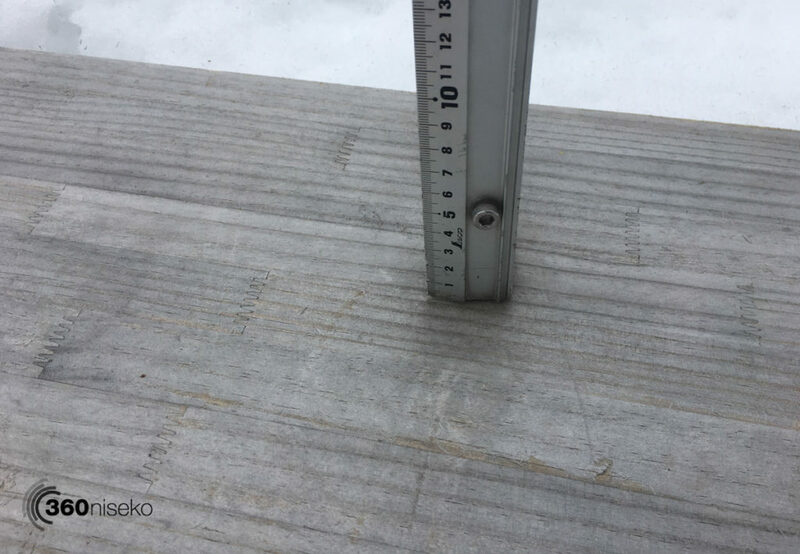 *0cm has fallen in the last 24 hours in Niseko. At 07:30 today the temperature was -2°C. A relatively nondescript morning here in Niseko but at least it isn’t raining! Overcast conditions and no new snowfall to report. The good news is the wind has mellowed out and it will be a fast bone rattling morning on the groomed runs! After yesterday’s rain the snow will be hard and fast…hopefully the groomers did a good job and the first tracks should be pretty epic anywhere in Niseko United and beyond. For anyone heading into the backcountry or through the gates ( if they open ) make sure you read the avalanche report as conditions change quickly at this time of year in the snowpack. Beacan, shovel, probe – the essentials! * For anyone driving of walking anywhere BEWARE . We have very icy conditions with yesterday’s rain producing thick ice and sections of dreaded black ice on the roads so please drive slowly. When walking use use foot spikes / or poles when if you have them. When walking it is best not to keep your hands in your pockets so wear gloves so you can balance better and brace yourself if you do slip. There are way more injuries caused by people slipping over on the streets than skiing or snowboarding! !